What kind of medical care would you want if you were too ill or hurt to express your wishes? Advance directives are legal documents that allow you to convey your decisions about end-of-life care ahead of time. They provide a way for you to communicate your wishes to family, friends, and health care professionals, and to avoid confusion later on. A power of attorney is a legal document pursuant to which one person (the principal) appoints another person (the agent) to act on behalf of the principal with respect to certain financial matters. A general power of attorney authorizes the agent to perform virtually any act on behalf of the principal. A limited power of attorney authorizes the agent to perform limited acts, such as selling a home, and remains effective for a limited period of time; e.g. 60 days. The power of attorney is presented to a third party as authorization for the agent to act on the principal’s behalf. The third party might be a bank, a stockbroker, a title insurance company, or any other person with whom the agent must deal. A durable power of attorney is one that remains in effect even after the principal becomes incapacitated. This is important because it is at that point in time that the agent must begin to act on behalf of the principal. Make your wishes known. You have the right to make these decisions for yourself while you have legal capacity. The selection of an agent is particularly important in a power of attorney. It is critical to select an agent who is trustworthy. A trustworthy agent will carry out his fiduciary duty not to self-deal and to act only on behalf of the principal. The agent must also be diligent and get things done. It is also important to include a successor agent in your power of attorney. If the primary agent dies or becomes disabled and in the meantime the principal has become incapacitated, a guardianship will be necessary. By naming a successor agent, the guardianship proceeding may be avoided. Some individuals prefer to appoint two people as agents under a power of attorney. If two agents are appointed, does the principal want them to be able to act independently of one another or should they be required to act together? There are pros and cons of each method and these should be carefully considered. In most states, gifts of the principal’s assets under a power of attorney are not valid unless specifically authorized by the document. This also is the position of the Internal Revenue Service (IRS). Good practice may dictate inclusion of gifting powers in the document. In determining the extent of gifting authority, consideration should be given to naming those persons to whom gifts can be made (including the agent, if appropriate), whether to limit the amount of the gifts to the annual gift tax exclusion amount (currently, $13,000), whether gifts can be made for education expenses, whether gifts can be made to charities, and whether gifts can be made to qualify the principal for public benefits including Medicaid. These are just a few of the many items to be considered when your power of attorney is being drafted. Keep in mind that the power of attorney applies only to financial matters. In order to appoint someone to make health care decisions for you in the event you are incapacitated, you need to execute an advance health care directive. An advance health care directive can be in the form of a health care proxy, living will, or both. Without an advance health care directive, the process of deciding what to do medically—and when to do it—can be a time-consuming and emotional task for caregivers, family members, friends, and health care providers. Advance health care directives allow you to select in advance the person most trusted as your agent to make health care decisions in case you can’t do it yourself. A living will is an expression of how you want to be treated during end-of-life care. It generally applies if you are in a persistent vegetative state, coma, or you are terminally ill. The health care proxy is a delegation of authority to a third party to make health care decisions for you when you are unable to do so. All states and the District of Columbia impose legal requirements on the content and execution of these documents for them to be valid. Who will serve as your health care agent and successor agent? Under what conditions, if any, do you want to authorize the withdrawal of life-sustaining medical treatment (life support)? Does your authorization to withhold or withdraw life-sustaining medical treatment extend to artificial nutrition or hydration? Do you have specific preferences concerning health care facilities or providers? Do you have any moral or religious convictions that dictate the use or rejection of certain forms of medical treatment? Do you want to make anatomical gifts (organ donation) or give the agent the power and authority to make these gifts? Act of 1996 (HIPAA) and related regulations, the advance directive should also include a specific authorization under HIPAA for your health care agent to obtain confidential information concerning your medical condition. This will allow the agent to talk with your physicians and review your medical records. Although many individuals are accompanied by their children to routine medical appointments, in an emergency situation the children need to know that they will be able to talk with the treating medical professionals about their parent’s condition. You want to make sure that your agent, family, and health care providers know that you have advance medical directives. At a minimum, you should have a candid and frank discussion of the advance directives and your health care preferences with your immediate family, health care agents, and primary care physician. 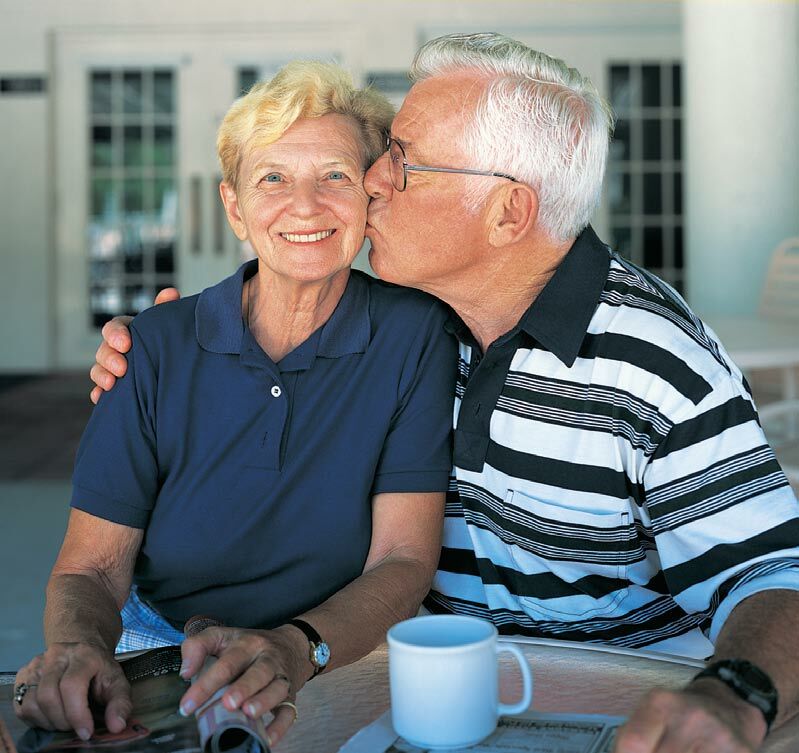 Typically, individuals do not like to think about advance directives and end-of-life care. These are not easy decisions to make and, for many, religious beliefs play an important role in the process. The important thing is to make your wishes known. You have the right to make these decisions for yourself while you have legal capacity. However, once you no longer have capacity, others will make these decisions for you, and their decisions may not be consistent with your wishes. So, give yourself and your family the gift of peace of mind by completing your advance directives. Bernard A. Krooks, JD, CPA, LLM (in taxation), CELA, is president and founding member of the NY Chapter of the National Academy of Elder Law Attorneys and a nationally known and widely quoted expert on elder law. For more information, visit www.littmankrooks.com. Source: www.ALZinfo.org. Author: Bernard A. Krooks, Esq., Preserving Your Memory: The Magazine of Health and Hope; Winter 2007.